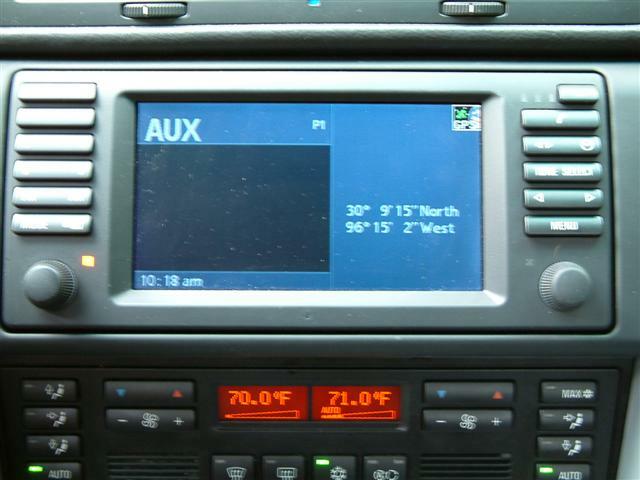 Auxiliary input lets you play your iPod or other MP3 player through your BMW's or Range Rover's sound system! If you're like a lot of BMW enthusiasts, you've been looking for a way to use your MP3 player in your BMW or Range Rover, but haven't liked the hokey set-ups you've seen so far. This OE adapter allows you to retrofit your sound system to accept your MP3 player. Simply plug one end into the back of your radio, run the cable (about 5ft of it) to your desired location and screw the input jack in place. Typical installation locations include in the glove box, under the dash or on the console. This cable simply connects to the back of the radio and provides an AUX input option on the radio or navigation display. Once selected any audio source connected to this Aux input jack is played in stereo over the vehicle's speakers.